My #HelloWeekend trip to Cape Town was nearly a month ago and I’m woefully behind in writing about it. 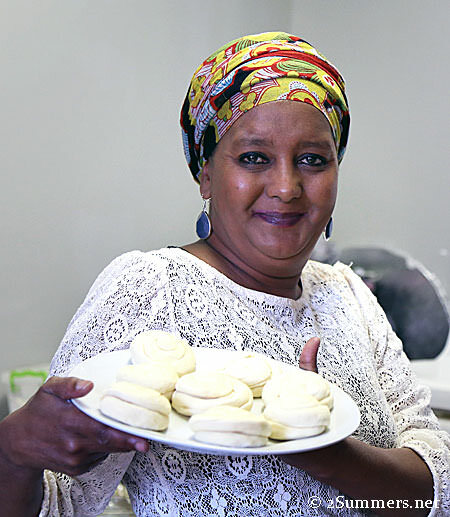 But I can’t let any more time pass before telling you about my Cape Malay cooking class in the Bo-Kaap. Before I moved to Joburg five years ago, I googled South African food. 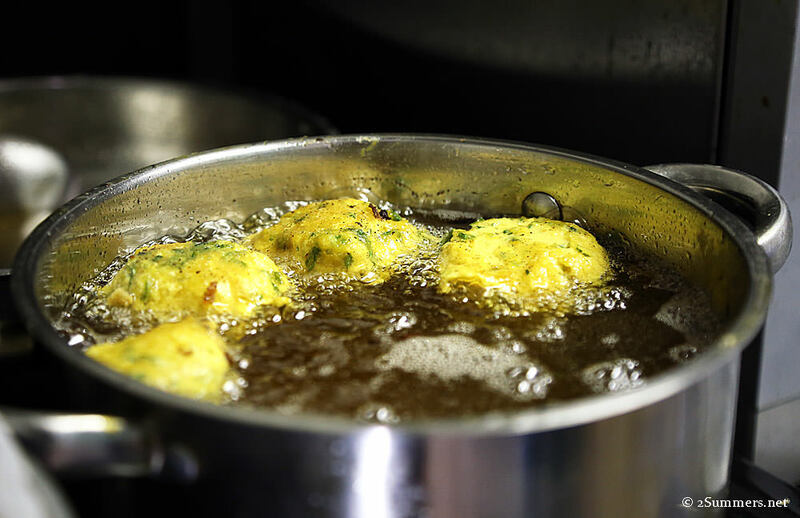 I knew nothing about South African cuisine (in fact I knew nothing about South Africa) and was curious to learn about the regional specialties in the country I was moving to. “Cape Malay” was the first thing that popped up. At the time, the descriptions I found of Cape Malay cuisine — a spicy mixture of Asian, Indian, Dutch, and African flavors — made little sense to me. 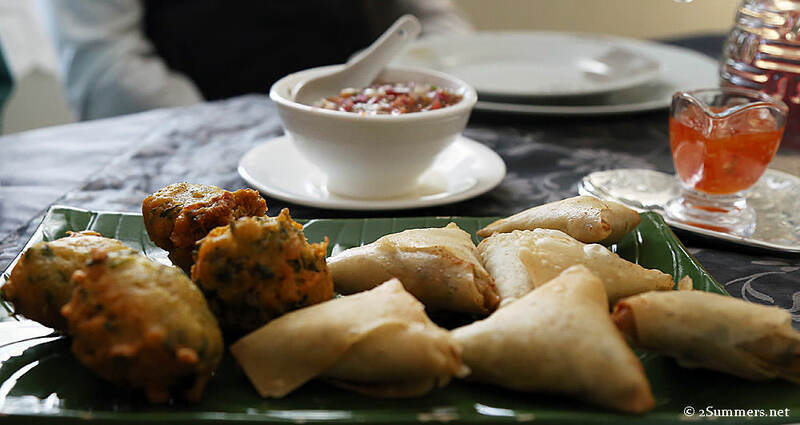 It’s hard to understand Cape Malay cuisine without understanding the entire complicated history of South Africa, and especially Cape Malay culture. It didn’t help that I had little exposure to Cape Malay food in Joburg, as the cuisine is more specific to Cape Town and surrounds. 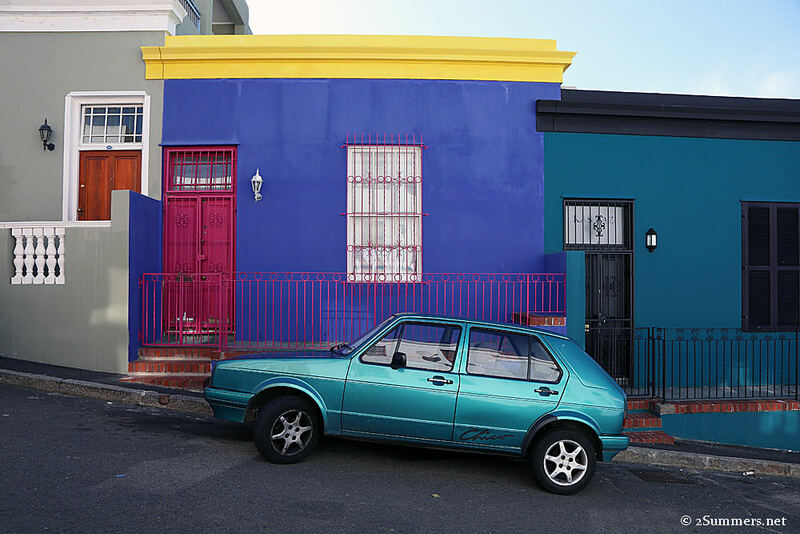 Last year I went on a tour through Cape Town’s Bo-Kaap neighborhood and ate at Bismillah, the most popular Cape Malay restaurant in the area. Cape Malay food, along with Cape Malay culture more generally, started to reveal itself to me then: mostly Indian (at least to my palate, although it’s really Indonesian), with hints of East Asian spice and Afrikaans meaty, buttery sweetness. It all came together earlier this month, when Ray and I spent an afternoon in Faldela Tolker’s small kitchen on Wale Street in the Bo-Kaap. Wale Street, Cape Town. The purple house is Faldela’s. We didn’t just eat lunch at Faldela’s; we helped cook it. Okay, I spent more time sitting around, joking, and taking pictures than I did cooking. But Ray cooked for real, and we all enjoyed the fruits of his (and mostly Faldela’s) labor. This photo pretty much tells the story of the afternoon. When we first arrived at her house, Faldela seemed shy and slightly standoff-ish, greeting us coolly. I think she was sizing us up, deciding how much we could handle. Once we were settled into her kitchen, the real Faldela came roaring out. Faldela welcomed us with a delicate glass of sweet, hot-pink liquid. 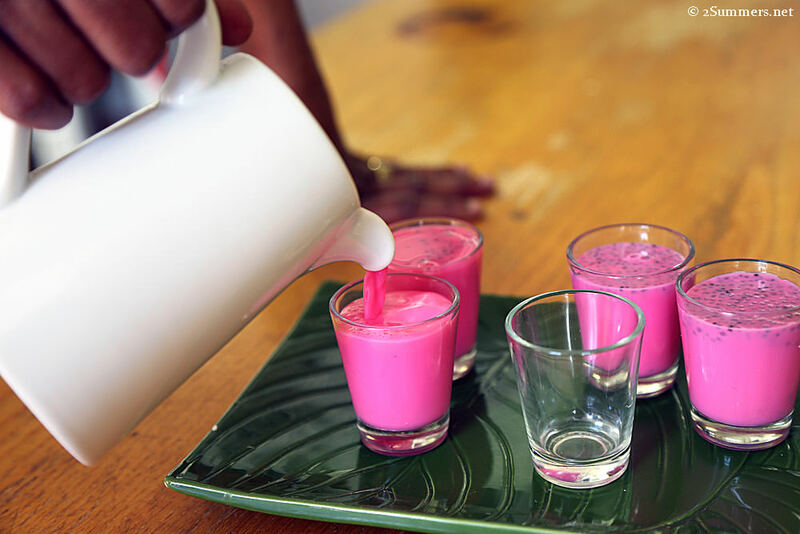 A concoction made with rose water and milk. I can’t remember what the tiny black beads floating on top are made of. We were instructed to wash our hands and Faldela got me started stirring a pot of onions on the stove — clearly the easiest job. 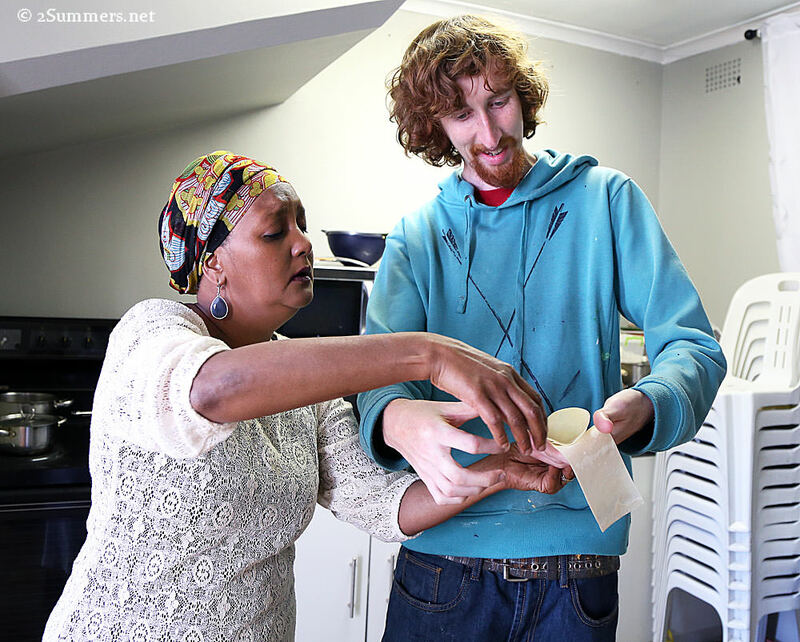 Ray got the hard job — making dough for rotis (the Cape Malay version of tortillas). Adding oil to the dough. These metaphors led to a series of progressively more bawdy jokes about babies and girlfriends, 100 percent sanctioned and encouraged by Faldela. We kept up a steady stream of banter while stirring onions, rolling dough, measuring spices, and (attempting to) fold samoosas. 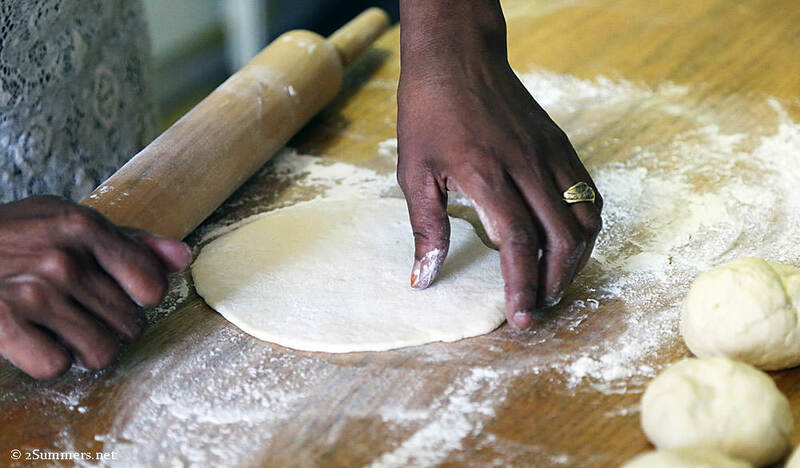 We all got a chance to roll roti dough, although some of the rotis turned out rounder than others. Ray measuring spices into the curry. 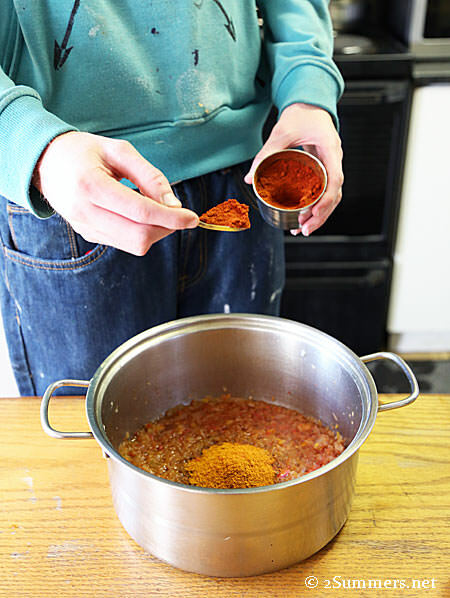 There are a multitude of spices in Cape Malay curry, including turmeric, cumin, chili spice, paprika, and many more. This is what the rotis look like before they’re cooked. Sizzling chili bites, made from flour, chopped vegetables, and spices. Making samoosas (spelled with two o’s in South Africa, and pronounced exactly as it’s spelled). Faldela made the dough-folding look easy but I knew better than to even attempt this. Ray was braver than me and he managed to fold a couple of them, with Faldela’s intervention. 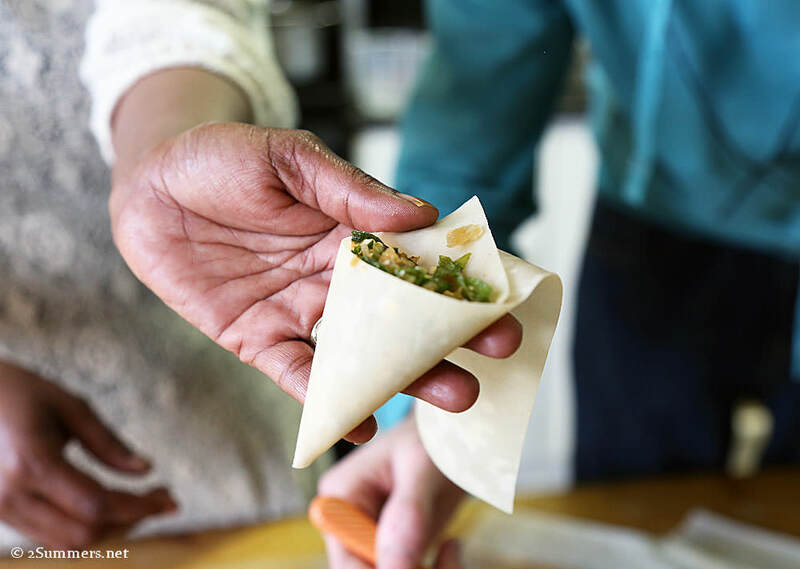 Freshly fried samoosas and chili bites, with a choice of sweet-and-sour sauce or a spicy tomato-corinader salsa. 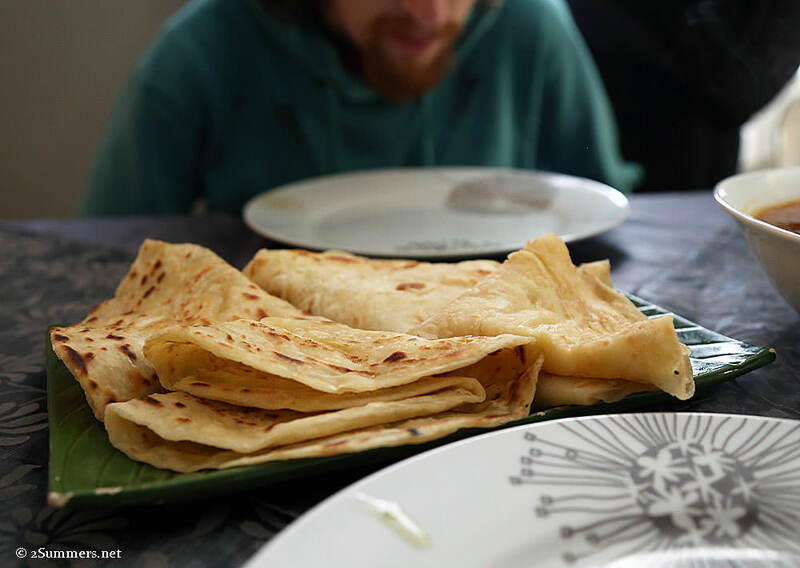 These rotis were so delicious. So was the chicken curry, which you can barely see in the corner of this photo. I somehow forgot to take a proper photo of my curry-baby. I definitely ate it though, and helped myself to seconds. We had sweet, gingery Cape Malay koesisters (which are totally different from Afrikaans koeksisters and a lot less greasy) for dessert, but I also forgot to photograph those before devouring them. I highly recommend Faldela’s class/comedy act to anyone who enjoys cooking, eating, or laughing — it was one of the most enjoyable experiences I’ve ever had in Cape Town. Faldela, whose business is called Cooking With Love, can be reached at 072-483-4040/072-903-7744 or at faldelatolker@gmail.com. The class/meal costs R500 (about $40) per person. 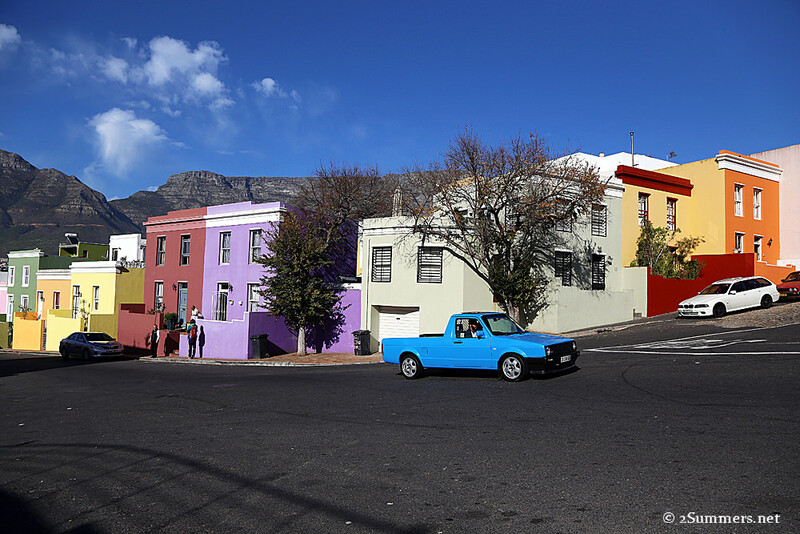 One more shot of the beautiful Bo-Kaap. Oh my greatness Heather. 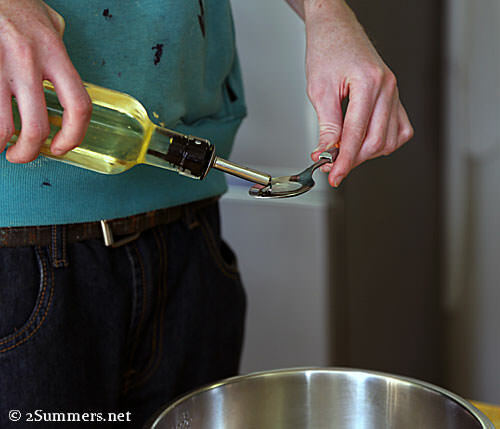 I’m so incredibly jealous because I’ve always wanted to do this exact cooking lesson! I think those black seeds might be chia seeds but I could be completely wrong. Love the idea of the dough being like a “girlfriend” so treat it nicely! Very funny! I know, amazing how well that metaphor works for cooking. This looks like a lot of fun. Do you think she would let a vegetarian int oher kitchen, lol ? Thanks Heather, now I have to plan a trip to Cape Town ! What a great and unique experience! Yum. Now I want some samoosas! I took this trip in November and LOVED the food and Faldela. I’ve recommended it to everyone! I brought a bunch of the spices back so I can try to recreate the meal. It was THE BEST food I had in South Africa.